Wow, and reading the sports news today I find that Kansas State QB Colin Klein was a Heisman Trophy finalist. Really? He certainly won't go to the NFL as a QB with that arm....perhaps a runner? It wasn't unitl I watched the tape of the game last night that pilotram's post about Colin Klein's wife made sense to me......I'd never heard of Colin Klein. Need to get out more, I guess. I predicted the most exciting bowl game this year could be Oklahoma vs. Texas A&M in the Cotton Bowl…..boy was I wrong! Thanks, Touchdown Johnny. I watched Johnny Manziel run and pass A&M past Alabama during the regular season in Tuscaloosa, and I thought he was amazing, but I was still not convinced he should have won the Heisman Trophy as a freshman….but now I am! That game and today’s Cotton Bowl were the two best games I’ve seen played by a college football player in one season, ever! He appears to see the entire field whether running or passing, and his arm is a gun!! Not a very exciting GAME, but watching Touchdown Johnny was very exciting and worth three hours of my time. Didn't see or record the BCS Championship game tonight....but I know the result. Anyone have an observation (they'd like to share)? Not the best game the Golden Domers have ever played. They looked happy to be in the championship game, which means they were sure to lose. It looked like a good pro team playing a good high school team. I blame the BCS for this! Call Oregon and get them on a plane to Miami please! By then it was 28-0. Notre Dame was never the best team in the country. They beat Stanford with some questionable officiating, and they beat USC without their NFL caliber QB. Check out the USC QB's performance in their bowl game; Geezer could have thrown for more yards to Woods and Lee than he did. They barely beat Purdue and BYU. Michigan and Michigan St. were overrated. And of course there was the epic fail by the Pitt kicker. ND's best victory was at Oklahoma, which was impressive. But Johnny Football exposed Oklahoma in the bowl game as less than a stellar team. Bottom line, ND was in way over their head. They were not ready for Bama's play action, and their CB's couldn't cover one-on-one with the Bama receivers. Their LB's had difficulty tackling. Perhaps Te'o went to too many awards banquets after the regular season, but he did not look impressive at all. Oregon vs Alabama would have been fun. Nick Saban got in another complaint about no-huddle offenses taking the coaching out of the game. Boohoo. Oregon didn't win their conference championship. 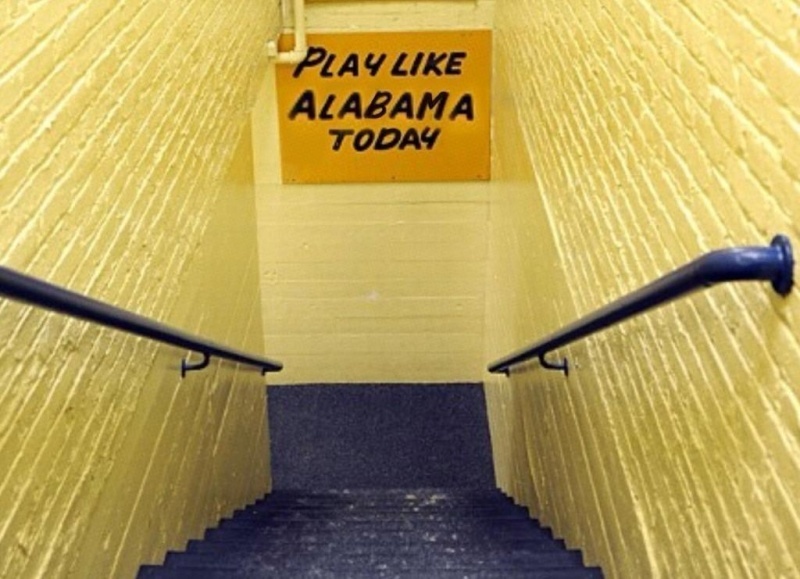 On the other hand, neither did Notre Dame. 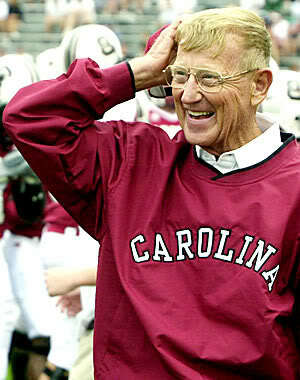 up7587 wrote: Notre Dame was never the best team in the country. They beat Stanford with some questionable officiating, and they beat USC without their NFL caliber QB. Check out the USC QB's performance in their bowl game; Geezer could have thrown for more yards to Woods and Lee than he did. They barely beat Purdue and BYU. Michigan and Michigan St. were overrated. And of course there was the epic fail by the Pitt kicker. ND's best victory was at Oklahoma, which was impressive. But Johnny Football exposed Oklahoma in the bowl game as less than a stellar team. Bottom line, ND was in way over their head. They were not ready for Bama's play action, and their CB's couldn't cover one-on-one with the Bama receivers. Their LB's had difficulty tackling. Perhaps Teo went to too many awards banquets after the regular season, but he did not look impressive at all. This is more in depth than what I was going to say, which is the only team on Notre Dame's schedule who was anywhere close to as good as Alabama was Stanford and they were fortunate to win that one. They hadn't seen anyone like the Tide all year. up7587 wrote: Check out the USC QB's performance in their bowl game; Geezer could have thrown for more yards to Woods and Lee than he did. I was the emergency QB on my D3 college team, and I have thrown for more yards. Good lord, you people are going to turn me into a Beaver Football fan by the end of the day. Recruit a kicker or two, Chip, ya dumbass and I would've been watching the Irish in Arizona and we'd be talking about how the Tide demolished the Ducks. It really didn't take long for Oregon to become the most insufferable fan base in the Pac-12. That's a classic! 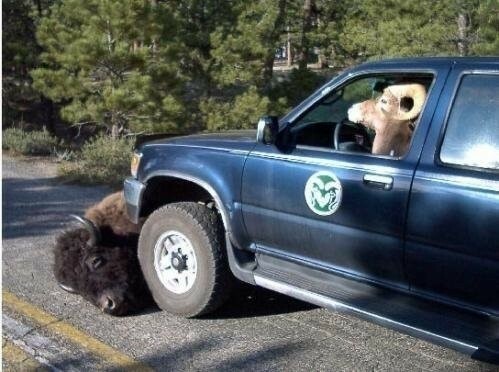 Buffs are horrible, just horrible in football right now. I read it twice already. Maybe I need to read it again. Woodless! wrote: Good lord, you people are going to turn me into a Beaver Football fan by the end of the day. BTW - How are your ribs feeling Wood? Woodless, what happened to your Coach Lou avatar? up7587 wrote: Woodless, what happened to your Couch Lou avatar? I forget what it looked like. Well, now that another Kelly, this time Brian, not Chip, has interviewed with the Eagles....just maybe Coach Lou will give up his graduation speaker gigs and return to South Bend.. The Philadelphia Eagles interviewed Notre Dame coach Brian Kelly for their coaching vacancy, a person familiar with the meeting told The Associated Press. Hopeful this is not merely a ploy for more $$ but also for field turf at ND stadium. It is the pleasant moments when college fans gathered and play a friendship match.Because that was the last moments of the college and they want to make a charm full moments for their life.What you think about that pleasant moments? Neither Te'o nor his girlfriend will be returning. If I had heard the story earlier I'd have thought it was true and felt a little sad. Now that it's a lie it's a different kind of sad. Sheesh, I'm just glad I knew nothing of the man (except to see him on TV) before I read the story here. Instead of judging the guy, I'll just wonder what pressures caused him to be a part of such an intricate falsehood.